The heritage of Grandma Dora’s cooking and baking skills. 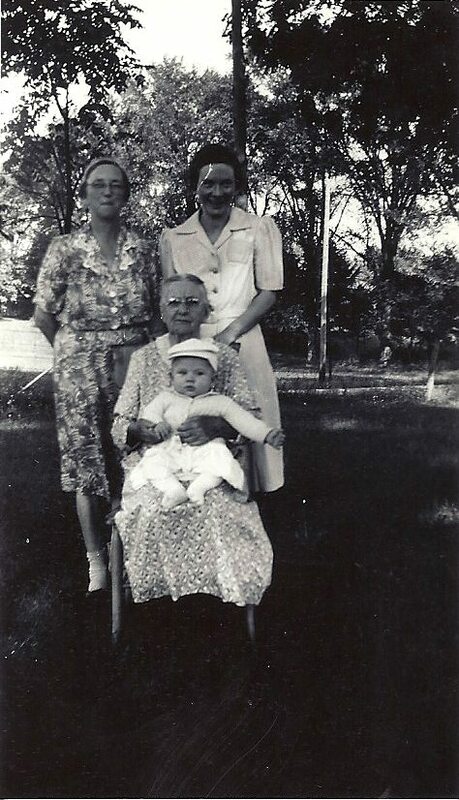 Grandma Dora (standing on right), with her Mother (standing on left), her Grandmother (sitting) and my Dad (sitting on her lap). My grandmother was always baking up desserts. And, she made it look like the simplest thing to do. My mom said she would watch her roll out a pie crust so quickly and perfectly, it was amazing. So, I’m sure this fluffy icing was something she did quickly and with perfection. 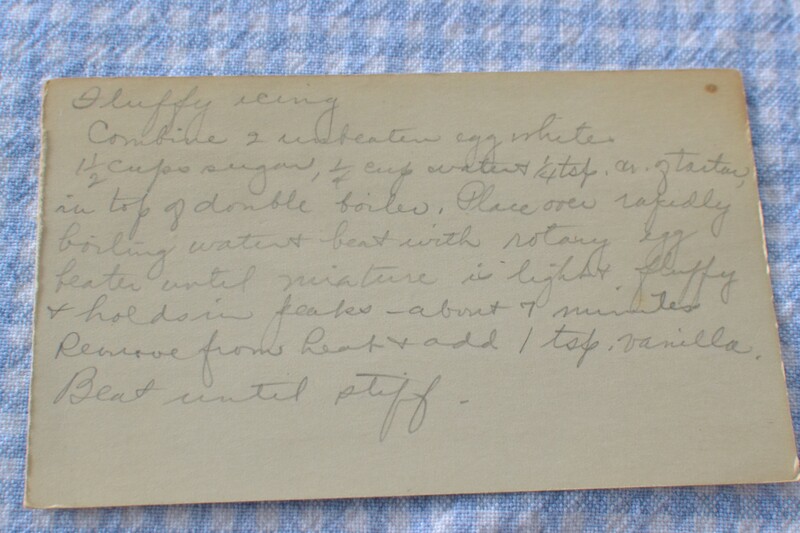 On the back of the brown sugar loaf cake recipe there was the recipe for fluffy icing. I decided my grandma must have thought this was the right icing for this cake since she put them together. So, I decided I would try putting them together too. I’m glad I did because it turned out to be just the right thing for the library bake sale. Combine in top of double boiler. Place over rapidly boiling water and beat with rotary egg beater until mixture is light, fluffy and holds in peaks – about 7 minutes. Remove from heat and add 1 teaspoon vanilla. Beat until stiff. 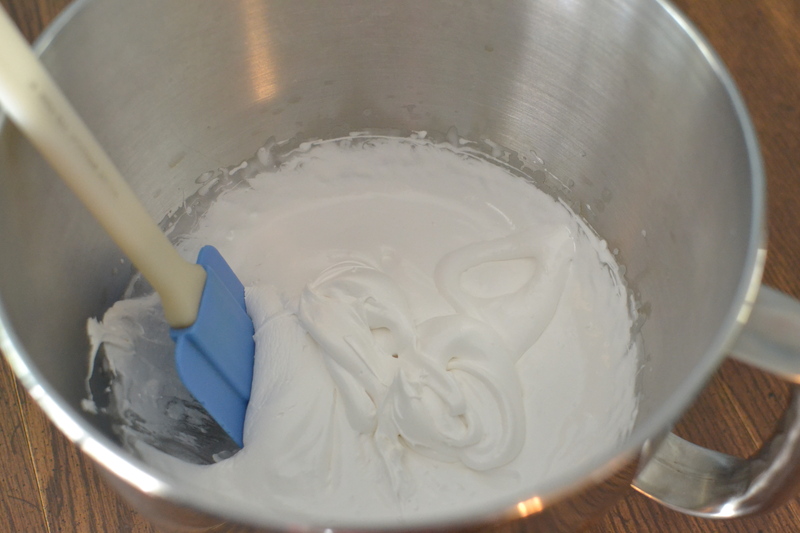 This frosting was tricky for me to make because I didn’t have a double boiler. I put some water in one pan and set another pan inside it to improvise. 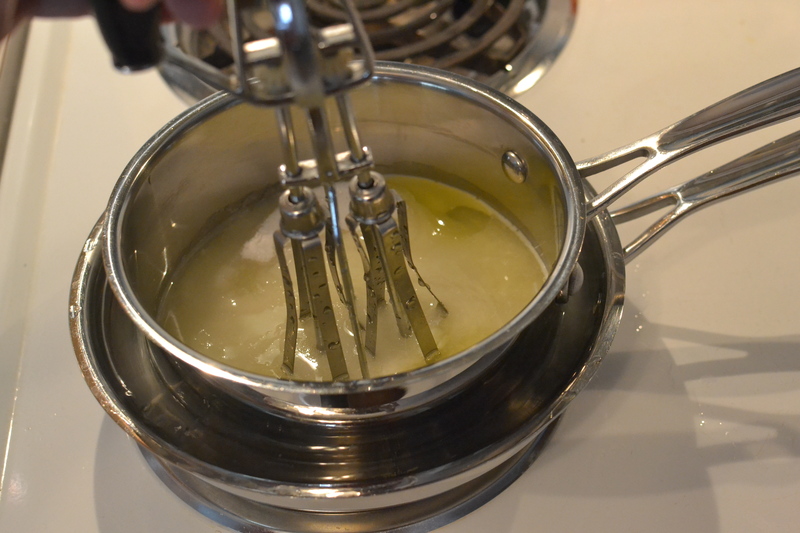 Once the water began to boil, I combined the ingredients and began beating them with my rotary egg beater (I actually have one of these – my nephews like to use it as a toy. I think, though that it would have been easier to just put a hand mixer in the pan and let it go.). 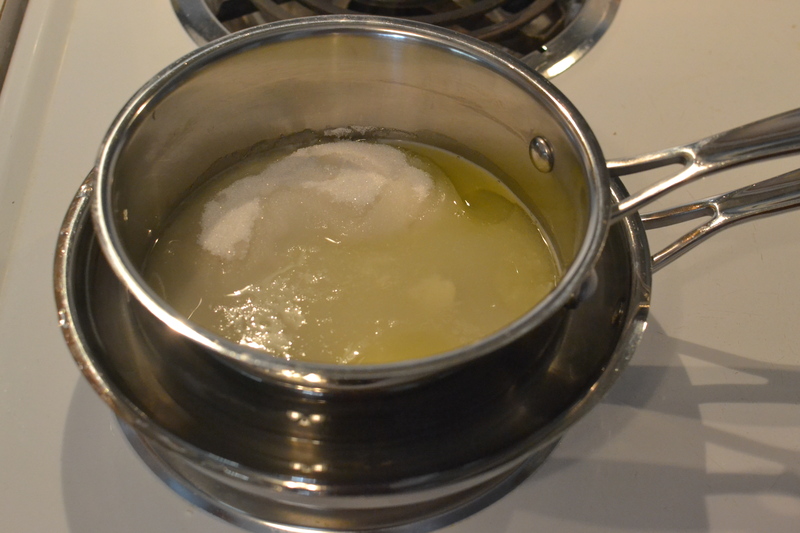 I think because I didn’t have a real double boiler, I had trouble getting it to hold in peaks. 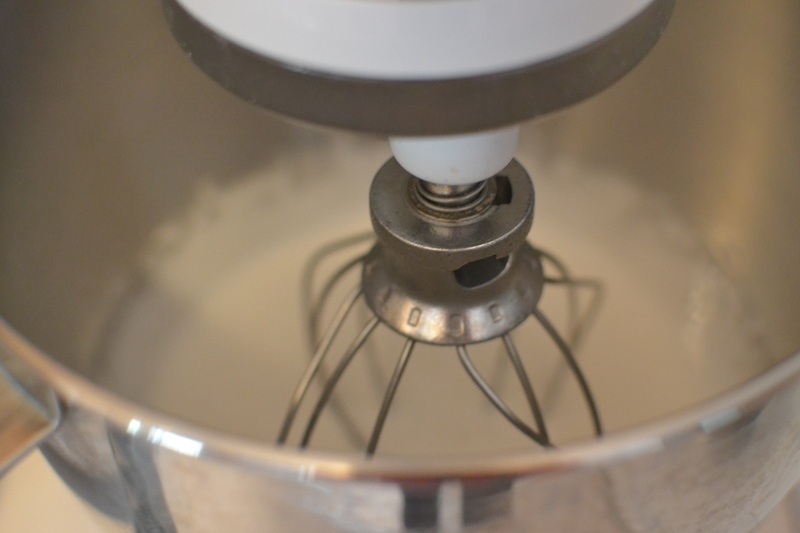 But, eventually I removed it from the heat, added the vanilla, put it in the Kitchenaid with the whisk attachment and beat it until stiff. 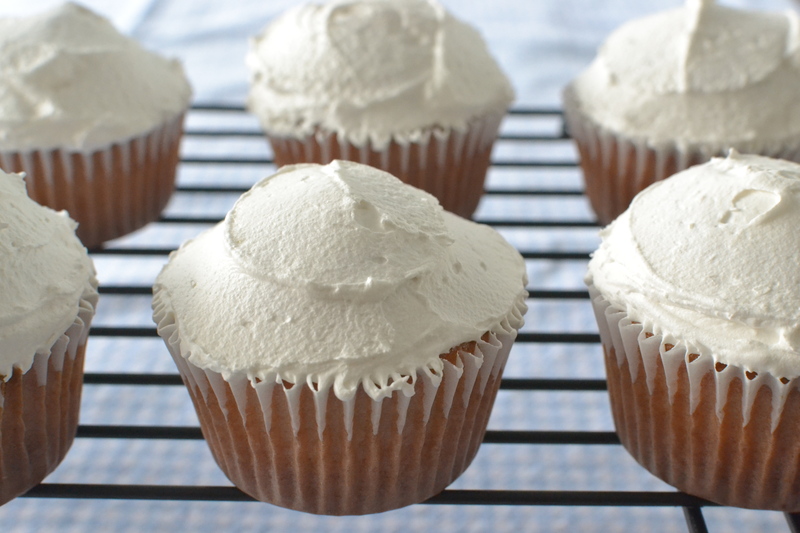 It was important to frost the cupcakes right away before the frosting cooled. Once it cooled it got a little harder to frost. 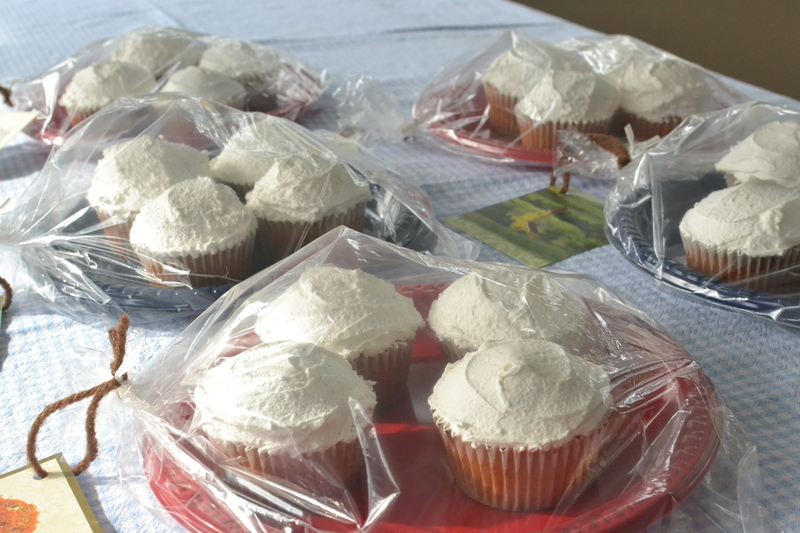 The frosting turned out great for transporting because once it was cooled it hardened enough so that it didn’t stick to the bags when I packaged them up for the bake sale. Even though it didn’t stick, it was still a soft and fluffy frosting. It was such a beautiful white color too. This frosting was definitely worth the effort! I hope my friends at the library enjoyed the cupcakes as much as I did! I hope you’ll give them a try and let me know what you think! 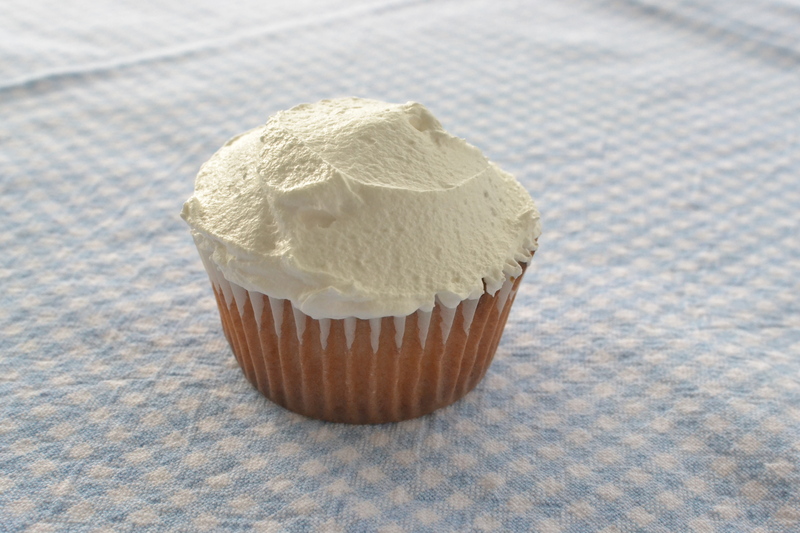 This entry was posted in Cake, cupcakes, cupcakes, Dessert, Frosting, Snacks and tagged baking, brown sugar, brown sugar frosting, cake, dessert, farm cooking, grandma's cooking, homemade, Kitchenaid, scratch cooking by GrandmothersRecipeBox. Bookmark the permalink.